Kevin Williams spent 21 years in prison for a 1985 armed robbery of a Kenner, Louisiana convenience store in which he had no involvement. Kevin Williams first contacted CM in 1986 and investigation on his case began in 1988. CM’s Staff Investigator, Paul Henderson, uncovered strong new evidence of how police strong-armed witnesses and ignored exculpatory evidence in order to strengthen their weak case against Williams. Unfortunately, every judicial body up and down the State and Federal Judiciary denied Williams, twice around. After all avenues for appeal were exhausted, parole became the only recourse for freedom. On October 12, 2006, the Louisiana Board of Parole granted Kevin Williams’ parole based (unofficially) on his innocence. In the late night hours of October 6, 1985, two 18-20 year old Black males rushed in and robbed a 7-Eleven convenience store. The shorter male pointed a gun at the female cashier and told her to open the register and stand back. The taller unarmed robber grabbed the contents of the cash register – all of $15. The 7-Eleven cashier called the police as soon as the robbers fled and her call was logged in as 10:56 p.m. (police then estimated that the actual robbery occurred two minutes prior at 10:54 p.m.) Two teenaged eyewitnesses saw the robbers flee in a brown car. The police brought the 7-Eleven cashier to the spot where they had Williams and Brown. She was asked to observe Williams and Brown as they stood by their car with a bright light shining on them. Looking at the two men, she cleared Brown, but identified 28-year-old Williams as the unarmed taller one of the two teen-aged robbers. Based on the 7-Eleven cashier’s identification, Williams was charged and Brown was released. A search of Williams’ car yielded absolutely no physical evidence related to the 7-Eleven robbery. No gun was found; nor did either man have any money on them. What police did find in Kevin’s car was two six packs of Pepsi. Not long before being stopped by the police, Williams and Brown were at a nearby Exxon station where Williams had spent his last dollars on gas. Brown told the police that he had stolen the two packs of Pepsi from an Exxon station while Williams was paying for the gas. Williams did not know of the theft until after they left the Exxon. Brown’s account to the police was verified by the Exxon Station’s cashier who recognized Williams as a repeat customer and also saw Brown take the two six packs. The cashier said she called police to report the theft as soon as the two men drove away. When asked by police that night about when the “Pepsi robbers” left, the cashier estimated the two men drove away at 10:45 p.m. The point being that if Williams had exited the Exxon station lot any later than 10:47 p.m., it would have been impossible for him to arrive at the 7-Eleven by 10:54 p.m. Just those few minutes were crucial in proving Williams’ innocence. It is interesting to note that police made note of the exact time the 7-Eleven cashier called in to report the $15 theft, yet they made no attempt to document the exact time of the call by the Exxon cashier about the Pepsi theft which would have accurately determined when Williams left the Exxon. Additionally, if the police theory was correct, it would mean that prior to the 7-Eleven robbery, Williams and Brown leave the Exxon station, travel the distance to the 7-Eleven picking up a gunman along the way, rob the 7-Eleven, flee, drop off the gunman along with the stolen $15, and then remain within a 1-1/2 miles of the crime ten minutes after having committed it. It’s a complicated and unlikely 20 minute span of events. Furthermore, while out on bail for the arrest, Williams tried to tell police about the Oldsmobile Cutlass that sped past them that night and how similar it looked to his car. He also told them that he’d heard that the owner of the car was bragging about having robbed the 7-Eleven, but police disregarding this information. The 7-Eleven Cashier’s identification of Williams was the primary basis for his conviction. Although she denied it at trial, Ernest Brown testified at Williams’ trial that the 7-Eleven cashier was in fact uncertain about Williams and Brown, but came around to identify Williams only after urging by the police. Brown testified that, “the lady said she really wasn’t sure, and they kept asking her and asking her.” The two teenaged witnesses who saw the robbers and their car from a distance positively identified Williams at trial, but one of these witnesses gave CM an affidavit stating that he was really not confident of his identification; however, the prosecutor threatened him with jail unless he testified to his positive identification of Williams. Unfortunately, the Exxon cashier was never called to testify at Williams’ trial, and so Brown’s account of the Pepsi robbery was never corroborated for the jury. Without the testimony from the 7-Eleven cashier and the two other witnesses, the State had no case against Williams. The cashier saw the robbers for only a few traumatic minutes while a gun was pointed at her. The other two witnesses saw the robbers from a distance at night. Both situations leave little room for an accurate identification. Misidentification remains the leading cause of wrongful convictions. Williams was tried on October 16, 1986 and after only a half day of actual testimony, he was found guilty that same afternoon. Williams was convicted and sentenced to 50 years for being the unarmed accomplice in a $15 robbery. Neither Williams nor Brown were ever requested to face charges on the theft of Pepsi to which Brown readily admitted. After all State and Federal judiciaries denied Williams, parole was the last possibility for freedom. 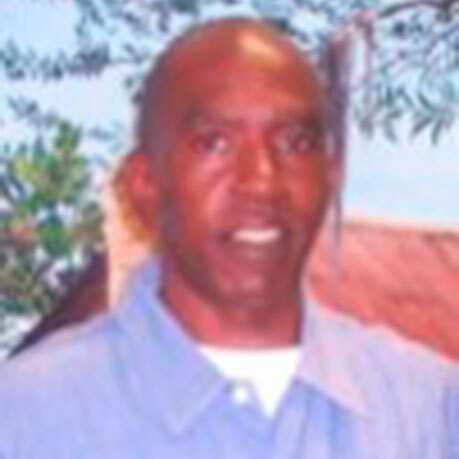 In October 2006, Kevin Williams went before the Louisiana Parole Board with the hope of receiving parole after 21 years of wrongful incarceration. The Board unanimously agreed to grant Kevin parole. While they are unable to admit it publicly (factual innocence is not a consideration in the granting of parole), the Board members believed Kevin was innocent. A thanks to the Louisiana Parole Board for their courage. Also, a very important thank you to CM’s Paul Henderson for his tireless and effective investigation, providing Centurion with the evidence and information with which to convince the Board of Kevin’s innocence.